Funding Scheme: SPP 1959 "Manipulation of Matter Controlled by Electric and Magnetic Fields: Towards Novel Synthesis and Processing Routes of Inorganic Materials"
Thin films of metal oxides are of high scientific interest due to their applicability in technical devices. Therefore, the synthesis of well-structured surfaces is extremely important. A perfect technique usable for such purpose is chemical vapor deposition (CVD). This process allows to control on crystallinity, purity, thickness and surface morphology. 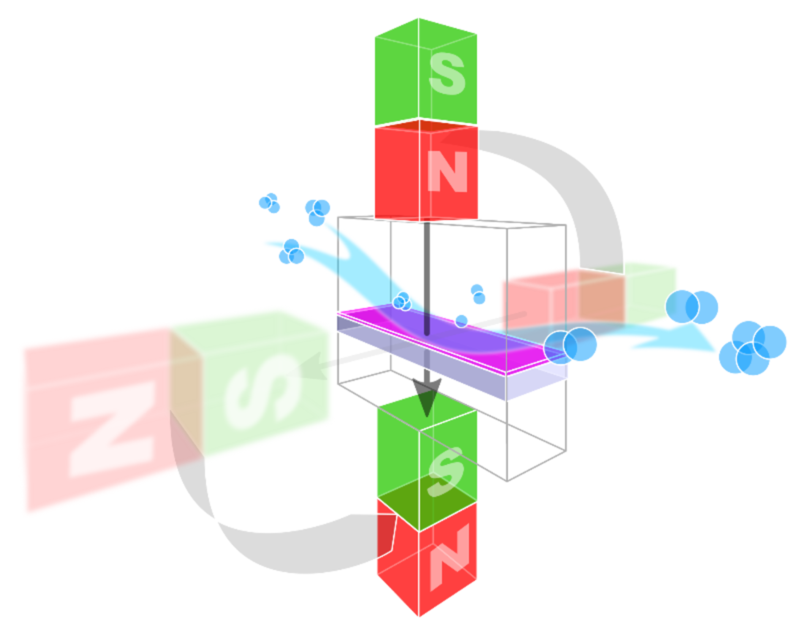 In addition to the usage of different precursors, temperature and flow rates, magnetic fields are promising candidates for structure manipulation. Preliminary experiments resulted in a clear influence of applied magnetic fields during CVD processes on structure, morphology and optical properties. This project will focus on the influence of different magnetic field strength on surface morphology, structure and physical properties. We will concentrate on the transfer of atomic properties to solid state materials in order to investigate and design new materials. The orientation, as well as strength of the applied magnetic fields will be studied in this context. The substrates, prepared with this procedure, are expected to be usable for various applications, ranging from solar driven water splitting to magnetic storage.